Compact-design channel and cover are formed from code-gauge cold-rolled steel. High-gloss, baked white enamel finish. 4000K. Diffuse polycarbonate lens. Indoor location. 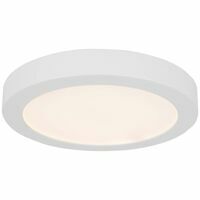 Fixture may be surface or suspension mounted with appropriate mounting options. 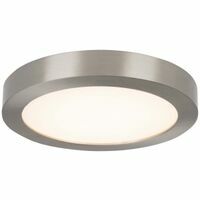 Fixture is an integrated LED light, so no bulb to need to replace. CSA certified to US and Canadian safety standards and listed suitable for damp locations.